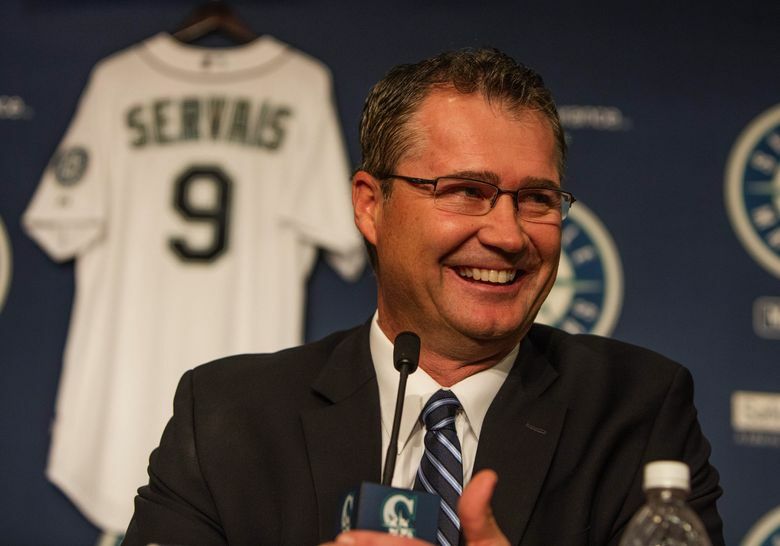 Servais was introduced as the Mariners’ new manager at a press conference on Monday morning. He becomes another in a growing list of former big-league catchers who have gone on to become Major League Baseball managers. 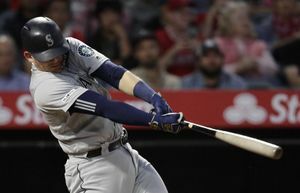 He’s big on youth and collaboration, has hopped on the movement to harness advanced statistics in baseball scouting and is eager to bring about a cultural revolution within the Seattle Mariners organization. 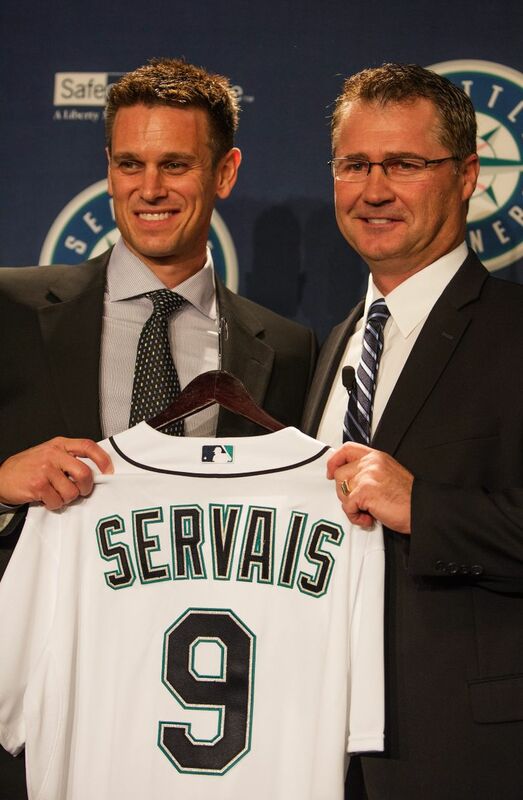 It’s no wonder that new manager Scott Servais gets along with his new boss, general manger Jerry Dipoto, whom he’s known since their playing days with the Colorado Rockies in 2000. 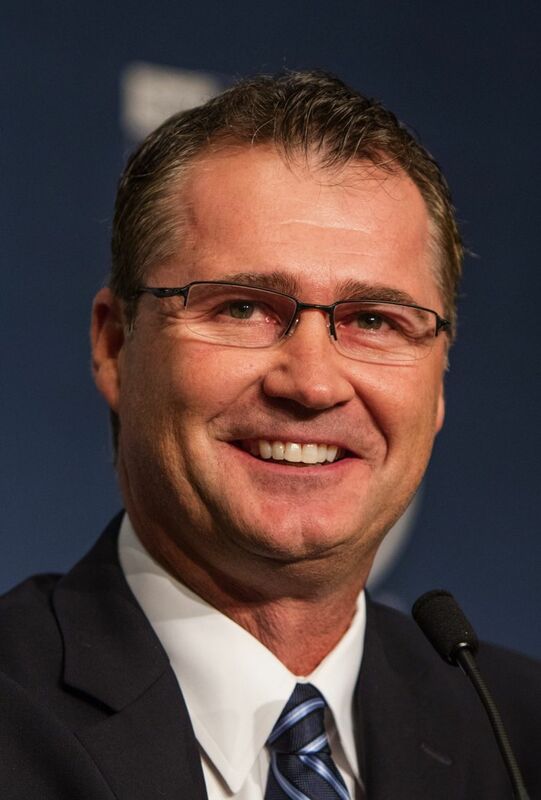 Servais, 48, was introduced as the Mariners’ manager during a news conference Monday morning at Safeco Field. He comes to Seattle from Anaheim, where he spent the past four seasons as the Angels’ assistant general manager of scouting and player development. He becomes another in a growing list of former big-league catchers who have gone on to become major-league managers. This is Servais’ first stint as a manager, but Dipoto said he was not deterred by Servais’ lack of experience, citing the fact that about one-third of current big leagues managers got their jobs with no experience. Also, Servais has a broad base of experience. Since beginning his minor-league career in 1988 with the Houston Astros, Servais has held a variety of positions in baseball. Before his most recent position with the Angels, he was a roving catching instructor, a pro scout, and the Texas Rangers’ senior director of player development. All of which, Dipoto said, position him as the ideal candidate for the Mariners job. In his opening remarks, Servais thanked the Mariners, his family and everyone who helped him along the way. “This opportunity means the world here. I grew up in a town of 500 people. Coming from a small town in western Wisconsin, my parents instilled a blue-collar work ethic in me that really drove me to reach my goals,” Servais said. “Not many gave me a shot to play in the big leagues, let along manage in the big leagues. This is a dream come true, and I’ve certainly taken a different path to get here today. Servais stressed the need to develop and connect with players. He prides himself on the latter and said his ability to communicate well with players comes in large part from having played pro ball as a catcher for 15 seasons and knowing what it’s like to be in his players’ shoes — from the baseball strategy and the emotional and mental standpoints. “There’s a reason catchers end up in the dugout. Mike Matheny, Brad Ausmus, Mike Scioscia — there’s a long list of catchers in the dugout,” Servais said. “You’re used to dealing with both sides of the ball, with the psyche pitchers have at times. But (you’re) also adapted at understanding the offensive game. Being able to talk to all different players comes from that. Still, Servais said he’s confident that he can help build a new culture within his first year. “Culture starts from the top, but it grows from the bottom. Everybody that has a Mariners uniform, or that works in this building, is part of establishing the culture. How you come to work every day. 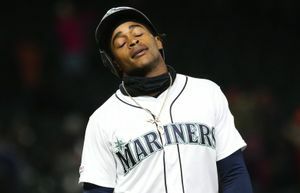 If you’re an usher or a ticket taker, if you’re an administrative person upstairs, everybody has to feel like they’re connected and they’re part of it,” Servais said. From that standpoint, Servais’ philosophy dovetails nicely with that of Dipoto, who also has stressed building an atmosphere of collaboration. And it’s not just talk, either. In 2008, when Servais was the senior director of player development with the Rangers, he noticed that Nelson Cruz (now a Mariners outfielder, but then part of the Rangers’ Triple-A farm team) was having trouble with his swing. So Servais approached Jon Daniels, the Rangers’ general manager, and asked if he could try something different with Cruz. Cruz bought in and worked judiciously with Servais to improve his swing. He made it back to the big leagues. Then, on the night the Rangers won Game 5 of the division series at Tampa Bay, Servais was standing in the back of the clubhouse watching the team celebrate when he was engulfed in a big Cruz bear hug. That gesture meant the world to Servais. Servais also introduced the first four members of his coaching staff. Tim Bogar comes to Seattle from Anaheim, where he was the special assistant to the general manager, and will serve as the bench coach. Mel Stottlemyre Jr. comes to Seattle from the Arizona Diamondbacks organization and will be the Mariners’ pitching coach. Chris Woodward has been retained as the first-base coach, and Mariners legend Edgar Martinez has been retained as the hitting coach. “Edgar Martinez as hitting coach? No-brainer,” Servais said, adding that he has admired Martinez’s work since his playing days and was excited that he got to sit down with Martinez for an hourlong chat Friday. Stottlemyre Jr. is a Yakima native whom Servais knows from their time in Houston in the mid-1990s. His father was the Mariners’ pitching coach in 2008. Bogar was a shortstop who played nine years in the majors. Servais played against him, and said they have a lot of mutual friends. Bogar was a minor-league manager for the Indians, Astros and Angels and served as the Red Sox’s bench coach in 2012. “He’s a Midwest guy much like myself, very organized and detailed,” Servais said of Bogar. “He’s got a good eye for the game. I thought having never managed before, I needed somebody who has either been a bench coach or been a manager. Stefanie Loh: sloh@seattletimes.com; on Twitter: @StefanieLoh. Stefanie Loh is the Seattle Times' features editor. She formerly held assistant sports editor and college football reporter positions at The Seattle Times.